Samsung Galaxy Tab Active 2 has been announced by the company officially as a medium tablet with a tough body. The tablet was announced by the South Korean giant in the land of the Windmill, The Netherlands. Samsung itself is still quite enterprising launch of tablet products, in the middle of the sluggish tablet market. 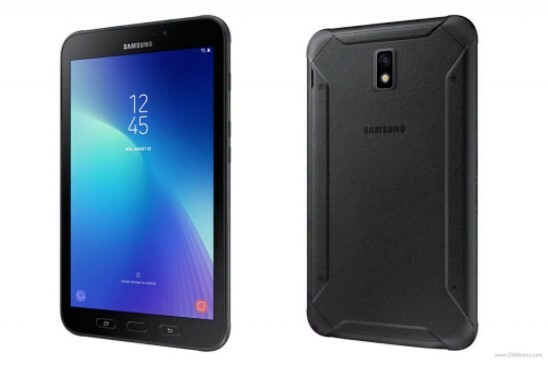 As the name suggests, the new Samsung Galaxy Tab Active 2 has a strong rugged body with MIL-STD-810 military standard certification. With the certification, of course makes this tablet strong enough to be invited to extreme activities. This tablet has resistance to extreme conditions such as pressure, temperature, climate, shock, and gilasan. Still the same as its predecessor, this tablet also has a cover that makes it able to survive when falling from a maximum height of 1.2 meters. 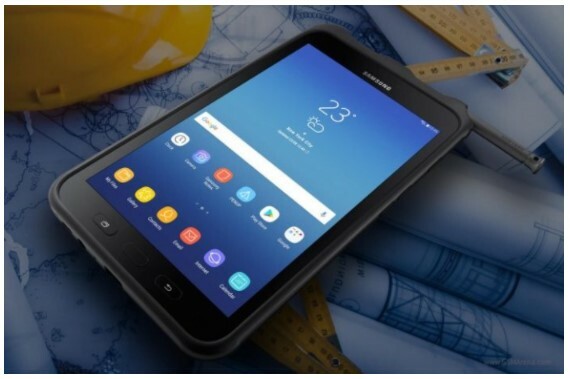 Galaxy Tab Active 2 million has pocketed the IP68 rating certification that makes it able to get into the water and is resistant to dust. Even the tablet screen is also equipped with screen technology that makes it work well on fingers that use gloves or wet fingers. In specification, the new tablet is equipped with an 8-inch wide LCD screen with a screen resolution of 1280 × 800 pixels, which is quite disappointing considering this tablet has a large enough screen. As for the kitchen pacunya, Samsung uses chipis Exynos 7880 which has a CPU octa-core 1.6GHz. For memory, this tablet comes with 3GB of RAM and 16GB of internal storage that can still be expanded using microSD. For photography purposes, this tablet is equipped with the main camera 8MP resolution and 5MP camera for the front. Interestingly, the company also offers S Pen support and Bixby support (Home and Voice). At the front, you will see there are three physical buttons consisting of recent app, Home, and back. For the Home button is also used as a fingerprint scanner sensor. Galaxy Tab Active 2 will be available in two options, namely 4G LTE and WiFi-Only. Samsung Galaxy Tab Active 2 4G variant will be available in Black color in the Netherlands at the end of November, at a price of € 500. Unfortunately not yet known how much the price of WiFi-Only variant of this tablet.